When you think of great wines, Georgia probably isn't on your mind. But our elevation, soil, and sunshine lends itself to some of the best wines this side of the Mississippi! 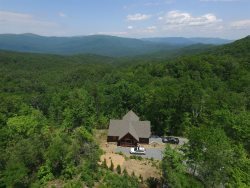 Stay a weekend at Wilderness View Cabins, our luxury cabin rentals in the North Georgia Mountains and find out why Wineries in Georgia are the best kept secret of wine connoisseurs. Officially opened in the summer of 2011, Cartecay Vineyards is Gilmer County`s first entry into the increasingly successful North Georgia wine industry. Cartecay Vineyards` first production crop was harvested and bottled in 2011 and is now available at their beautiful restored tasting room. Named for the original homesteaders, Nealey Barn Tasting Room and the surrounding grounds can also be rented as an events facility. Crane Creek Vineyards sits high in the Blue Ridge Mountains of North Georgia, just three miles north of the quaint college town of Young Harris in the shadow of Brasstown Bald, the state`s highest peak. Less than two hours from Atlanta - yet a world away, Making your way to the tasting room on a field stone path, the sense of history can be felt before you reach the door. Housed in the old Bryson farmhouse, the tasting room at Crane Creek Vineyards is intimate and charming. There is something to please every one of your senses here!